Amazon's Echo Dot digital assistant gives me access to weather, alarms, timers, CBC radio news, and voice-control of my Nest thermostat. The Echo Dot must be continually powered — it comes with a standard USB-to-micro-USB cable and 1A wall charger. It connects to the Internet through your home Wi-Fi. It has a built-in speaker, but can also play audio through a Bluetooth-attached speaker. You can download the Amazon Alexa iOS app to configure your Echo Dot from your iPhone, but for me, a more reliable approach to configuration, was to use the alexa.amazon.com website. 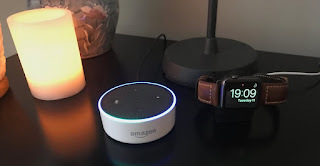 With either interface, you will are prompted to join your iPhone or laptop to a Wi-Fi network created by the Echo Dot for initial configuration. Once configuration is complete, your Echo Dot connects to the Internet via your home Wi-Fi network. Alexa, what is the weather in Ottawa, Canada? Alexa, what is forecast this week for Ottawa, Canada? While it needs Amazon's cloud servers for voice-to-text conversion, the Echo Dot is able to recognize Alexa without any external help. 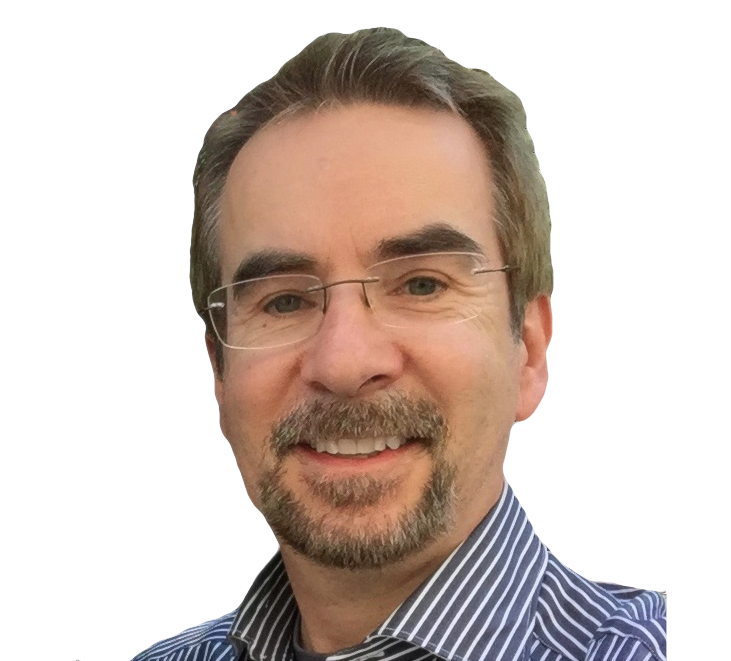 Only after hearing and recognizing Alexa does it send any subsequent audio to Amazon's cloud servers. Because the Echo Dot has built-in support to recognize its name, Alexa, I found response to voice commands noticeably faster than when I invoke Siri on my iPhone by saying "Hey Siri." 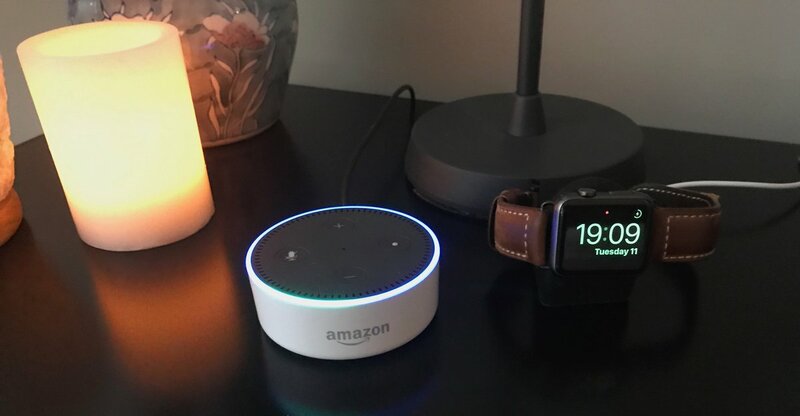 If you have several Echo Dots—I have one in the kitchen and one on my night table—you should arrange them so only one can hear you at a time. If that is not possible, you can configure one to answer to Alexa, another to answer to Echo and a third to answer to Amazon. Alexa, what day is it? Alexa, what is the square root of 2? Alexa, what is 13% of 49.99? Alexa, what is the definition of [word]? Alexa, who won the hockey game? …which plays the last TuneIn station I configured, "Premier Ottawa-Gatineau." Alexa, what is the thermostat set to? Alexa, set the thermostat to 26.